Summary: 90 Reviewer eagerly anticipates new installment in sci-fi series. For this week’s movie review, I wanted to take a blast to the past to prepare for one of my most anticipated movies of the year, The Divergent Series: Allegiant. The movie officially hits theaters on Friday, March 18, but I wanted to review the previous two movies to gear up for the new installment. The first installment in the series, Divergent, hit the big screen in March of 2014, and was a huge success both in popularity and financially, bringing in over $54 million on its opening weekend and a total worldwide gross of over $288 million. The movie centers around a population in post-apocalyptic Chicago surrounded by a wall to protect them from what may be left outside. From what they know, a war decimated the human race, except those who reside within this wall, established by what they call “The Founders”. Within this wall, society is divided into 5 factions: Abnegation, Amity, Candor, Dauntless, and Erudite, each one with its own distinct personality traits. A choosing ceremony is held for teenagers to be sorted into each faction, after having taken an aptitude test to guide them in their choice. Tris Prior, our main protagonist, ends up being divergent – she belongs to too may factions. She must now hide within a faction to survive, and evade capture by Erudite, which is now actively seeking out divergents to destroy them. This movie’s sequel, Insurgent, follows Tris as she evades capture. She is a wanted target after the events in the previous movie. She, along with Factionless leaders, begins plotting to overthrow Jeanine Matthews, the leader of Erudite. This movie takes a dramatic shift from the previous installment, which was exposition based, to an extremely action centered plot. The movie picks up right from the beginning and never stops, keeping viewers at the edge of their seat the entire time. 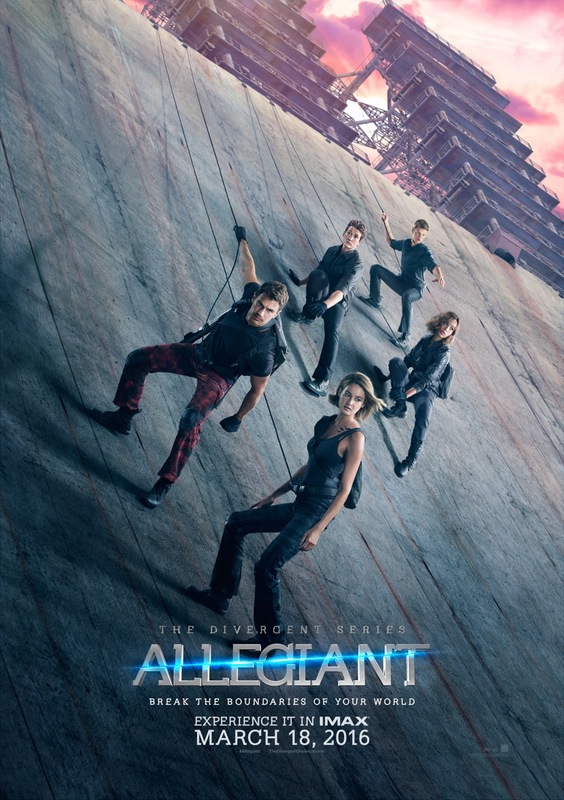 The next installment, Allegiant, is expected to be the most riveting and action-packed yet. From the trailers we’ve seen, this assumption is likely correct. We now follow Tris “beyond the wall” to discover that they are not alone on this planet. In fact, they’re far from it. Based on having read the book, I expect the movie to be full of unseen revelations that will turn this series, and their world, upside down.